The only limitation an industrial designer faces should be his imagination, not his software. If your industrial design tools are holding you back, or if you’re looking to upgrade your existing software platform, we have some options for you. We have rounded up the top 50 industrial design tools, based on user reviews, industrial design forums, and other industry-leading publications. Our top tools cover a range of uses, from quick ideation and rendering, to visualization, to developing interactive projects and playing with your ideas, to seeing you through from the design phase to manufacturing. We even included a few options to help you present your designs and improve the aesthetics of your designs while sharpening your digital sculpting skills. And, our top picks vary in price from free to costing thousands of dollars, so you can find the industrial design tools within your budget. So, browse through the list, see which you think will fit your needs, and make your industrial design process a little more efficient and a lot more possible. Please note, we have listed our top design tools here, in no particular order. Adobe Illustrator is a vector graphics app that serves as a handy industrial design software tool for quick ideation and rendering. If you are in need of a better tool for visualization, Adobe Illustrator is an industry-standard tool. 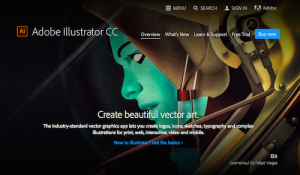 Illustrator CC gives users access to new tool features as soon as they are released. Photoshop is an industry standard in digital imaging and is used by professionals around the globe in fields from video editing to design. New features and upgrades to Photoshop are making it a tool of choice for industrial designers who are looking for a tool with impeccable 3D capabilities. Photoshop CC allows designers to add dimension to their designs using its rich set of 3D image creation, editing, and printing tools. 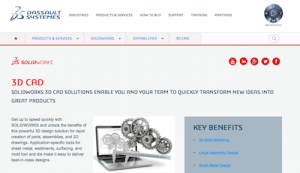 Dassault Systemes SOLIDWORKS is a 3D CAD design software tool that is a perfect solution for industrial designers. 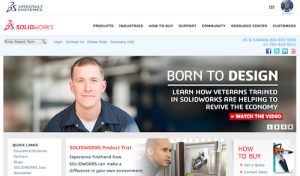 With SOLIDWORKS 2016, industrial designers can fast-track their designs through manufacturing, thanks to the new user interface, new tools, and new process enhancements that enable users to complete work faster and easier than ever before. Autodesk is one of the top names in industrial design because of its 3D design and engineering software and services. Alias is Autodesk’s industrial design and Class-A surfacing software for sketching, modeling, surfacing, and visualization tools for industrial, product, and automotive design. Industrial designers celebrate the surface designs that Alias digital prototyping tools help them to create. 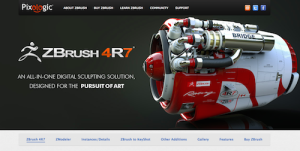 ZBrush is the industrial design software tool that features ArrayMesh, NanoMesh, and Modeler with Mesh, which are useful throughout the creative process. Industrial designers are able to create within Brush for more of your workflow, which makes the design process much more efficient. 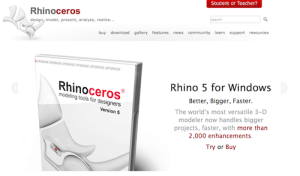 Rhinoceros, with its thousands of modeling and editing tools, yields fast results for industrial designers. Rhino makes it easy for industrial designers to design, model, present, analyze, realize, and more, including translating NURBS curves, surfaces, solids, point clouds, and polygon meshes. 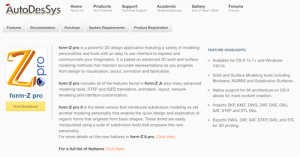 Rhino also is available for OS X, giving designers using Macs access to this versatile 3D modeler. 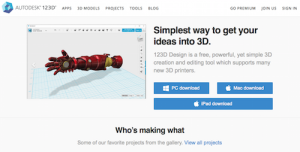 123D Design is a free industrial design software tool for people who want to make things themselves or who are just beginning to get into the field. This powerful, yet simple tool makes it possible to create and edit designs, and it supports many new 3D printers. 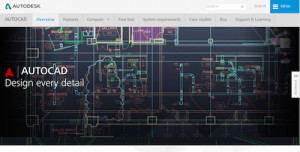 Autodesk’s AutoCAD is an industrial design tool for Windows or Mac. It promises to help industrial designers “document with confidence,” because it enables them to create designs and speed documentation work with its built-in productivity tools. With AutoCAD, industrial designers have the ability to work across integrated desktop, cloud, and mobile solutions. An industrial design tool that is better suited to quick ideation and rendering, Blender is free design software for any purpose. Driven by the Blender Foundation, Blender is an open source project that aids industrial designers in visualization. OpenSCAD is an industrial design software tool for creating solid 3D CAD models. Free and available for Linux/UNIX, Windows, and Mac OS X users, OpenSCAD focuses on the CAD aspects for creating 3D models. Industrial designers have full control over the modeling process because OpenSCAD is not an interactive modeler; rather, is is similar to a 3D-compiler that reads a script file and then renders the 3D model from the file. 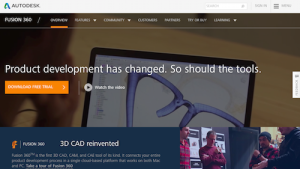 Autodesk’s Fusion 360 is 3D CAD/CAM software for product design. In fact, Fusion 360 is “the first 3D CAD, CAM, and CAE tool of its kind. It connects your entire product development process in a single cloud-based platform that works on both Mac and PC.” With this single industrial design tool, users design, test and fabricate, work anywhere, and collaborate with anyone. With Tinkercad, you can “learn to design the products of your life.” This browser-based 3D design and modeling tool is appropriate for all – just imagine and then design in minutes. Tinkered also is a prime 3D printing companion for industrial designers. 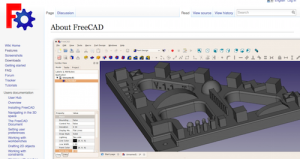 A general purpose parametric 3D CAD modeler, FreeCAD is an open source industrial design software tool specifically geared toward mechanical engineering and product design. FreeCAD also may be used for other engineering disciplines. Because FreeCAD includes tools similar to SolidWorks and Solid Edge, it also is considered a PLM, MCAD, CAx, and CAE. Wings 3D, an advanced subdivision modeler, is an industrial design software tool that is powerful yet easy to use. 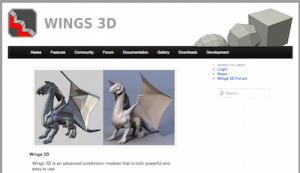 Wings 3D has been under development since 2001 and offers a variety of modeling tools. Wings 3D is an open source, free tool for use in personal and commercial projects. 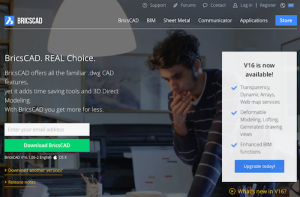 BRL-CAD is a powerful cross-platform open source solid modeling system that serves as a top industrial design software tool. BRL-CAD includes interactive geometry editing and has been under more than 20 years of active development. From Autodesk, 3DS MAX is an industrial design software tool that is ideal for quick ideation and rendering. A useful tool for visualization, 3DS MAX specifically is 3D modeling, animation, and rendering software. Autodesk recently released brand new, user-requested features plus enhancements for design, making 3DS MAX an even more useful industrial design software tool. 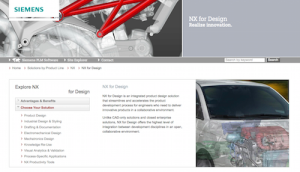 NX for Design is Siemens’ PLM software. This industrial design software tool is an integrated product design solution that “streamlines and accelerates the product development process for engineers who need to deliver innovative products in a collaborative environment.” NX for Design is a step ahead of CAD-only solutions because it offers an advanced level of integration between development disciplines to create an open, collaborative environment. The NX for Design solution specifically for industrial design and styling is a powerful tool that enables users to optimize form, fit, function, and user experience. Providing algorithmic modeling for Rhino, Grasshopper is an industrial design software tool for designers who need to explore new shapes using generative algorithms. 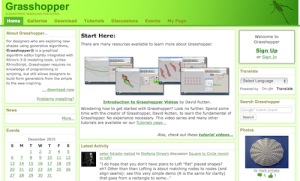 Grasshopper is tightly integrated with Rhino’s 3D modeling tools but requires no knowledge of programming or scripting. PTC makes it possible for manufacturers to achieve product and service advantage in the age of the Internet of Things (IoT). 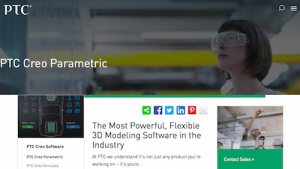 A powerful, flexible 3D modeling software, PTC Creo Parametric is an industrial design software tool that is easy to use yet features all of the capabilities industrial designers need to complete their projects. 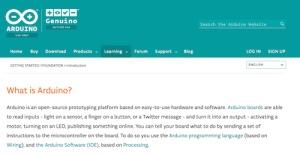 Arduino is a useful industrial design software tool for designers who want to develop interactive projects and play with their ideas. This open-source electronics prototyping platform is based on flexible, easy-to-use hardware and software and has “been the brain of thousands of projects, from everyday objects to complex scientific instruments.” Arduino now is used in IoT applications, wearables, 3D printing, and embedded environments. 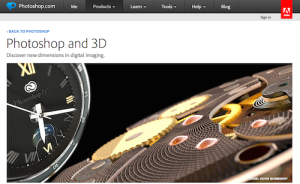 K-3D is an industrial design software tool for 3D modeling. K-3D combines flexible plugins with a visualization pipeline architecture, making K-3D versatile and powerful, especially as a visualization tool for industrial designers. solidThinking offers industrial design software tools that make it possible to design faster, smarter, and lighter, plus model freely, make changes effortlessly, and render beautifully. solidThinking’s EVOLVE gives industrial designers the tools they need to develop forms faster, either with Windows or Mac OS X.
Sketchfab makes 3D easier than ever before. 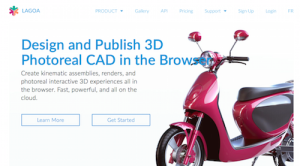 This industrial design software tool is useful for ideation, as it makes it possible to “publish and find the best 3D content.” With a powerful editor and more than 400,000 models, Sketchfab is especially useful for beginners in the industrial design field. Lumiscaphe, an editor and integrator of innovative software solutions in the field of digital aspect mockup and photorealistic, real-time 3D rendering, provides 3D Sensation for engineering and design professionals. This industrial design software tool gives industrial designers the flexibility and power they need to optimize, transform, and display CAD models as digital aspect mockups. Reap the benefits of the addition of animatable and configurable visual aspect for collaboration with others in the design, production, and marketing chains, with Lumiscaphe 3D Sensation. 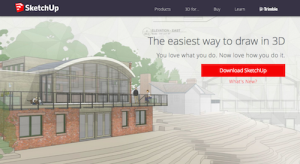 SketchUp is an intuitive, powerful, easy-to-learn 3D drawing tool that is a great choice for industrial designers, especially those who want a tool for quick ideation. Create compelling visualizations, generate presentation documents, and iterate quickly with SketchUp. IronCAD is a leading provider of innovative design collaboration solutions for true productivity and design freedom. This industrial design software tool makes it possible for industrial designers to design faster, better, and easier because of its performance, flexibility, and collaboration capabilities. 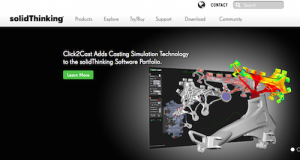 Autodesk Showcase is 3D visualization software that brings industrial designs to life. This software tool combines visualization and presentation software for easy-to-use presentation and design exploration tools for designers, engineers, and others. Transform your 3D CAD designs into interactive walk-throughs and presentations in order to evaluate design alternatives in real time with colleagues, customers, and others. 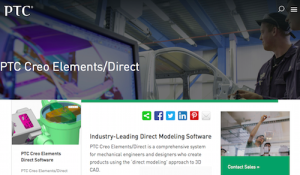 PTC Creo Elements/Direct, a comprehensive system for mechanical engineers and designers who create products using the direct modeling approach to 3D CAD, is an industry-leading direct modeling software. This industrial design software tool helps engineers and designers to quickly and easily create designs or repurpose existing designs. 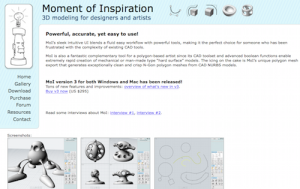 If you need an industrial design tool for 3D modeling in your browser, 3DTin is your solution. Better suited to 3D modeling and industrial design beginners, 3DTin has a simple interface that makes it incredibly accessible. 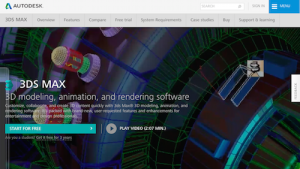 3DTin was acquired by Lagoa, and it enables users to create kinematic assemblies, renders, and photocell interactive 3D experiences all in the browser. 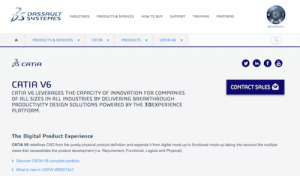 Dassault Systemes’ pioneer brand, CATIA is a leading solution for product and industrial design and innovation. CATIA V6 offers breakthrough productivity design solutions powered by the 3DExperience Platform. With CATIA, industrial designers expand CAD from digital mock-up to functional mock-up with multiple views required for product development – requirement, functional, logical, and physical. 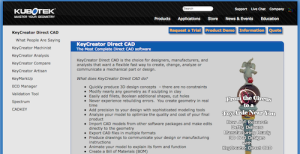 KeyCreator Direct CAD is an industrial design software tool for designers, manufacturers, and analysts who are looking for a fast and flexible solution for creating, changing, analyzing, or communicating a mechanical part or design. KeyCreator Direct CAD speeds the 3D design process by eliminating constraints and making it easy to modify nearly any geometry. 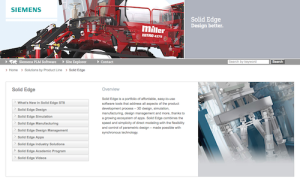 Solid Edge is Siemens’ portfolio of affordable and easy to use software tools for the product development process. This industrial design software tool encompasses 3D design, simulation, manufacturing, design management and more. Solid Edge combines the speed and simplicity associated with direct modeling with the flexibility and control of parametric design through synchronous technology. 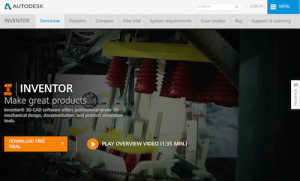 Autodesk’s Inventor helps industrial engineers make great products. In fact, Inventory is a 3D CAD software solution offering professional-grade 3D mechanical design, documentation, and product simulation tools. Featuring freeform, direct, and parametric modeling, Inventor gives industrial designers the modeling flexibility they need to work more productively. Moment of Inspiration (MoI) is 3D modeling for designers. Its intuitive user interface makes MoI a good choice for those who are new to industrial design and who may be struggling with complex CAD tools. MoI Version 3 is available for both Windows and Mac. AutoCAD Mechanical is mechanical design software for manufacturing. 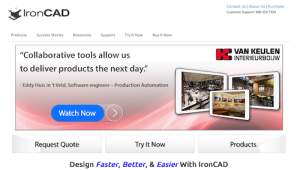 This industrial design software tool includes AutoCAD functionality plus libraries of standards-based parts and tools for accelerating mechanical CAD. Access the latest updates and releases, 1-on-1 web support, and more with the AutoCAD Mechanical Desktop Subscription. SOLIDWORKS 3D CAD from Dassault Systems enables industrial design teams to quickly transform ideas into great products. This industrial design software tool gives designers the ability to rapidly create parts, assemblies, and 2D drawings. Form-Z Pro is an innovative 3D design software tool that enables designers to explore ideas, design creatively, and deliver projects productively. Form-Z Pro is based on advanced 3D solid and surface modeling methods for maintaining accurate representations from design to visualization, layout, animation, and fabrication. Autodesk Product Design Suite is an industrial design software tool for delivering innovative 3D product designs. A comprehensive solution, Produce Design Suite provides simulation, collaboration, visualization, and digital prototyping tools for the entire design and engineering process. An award-winning application, Autodesk SketchBook Pro is available on desktop and mobile tablets. Available in Pro 2016 for businesses and Pro 7 for individuals, SketchBook helps industrial designers with professional-grade perspective tools and an intuitive interface. 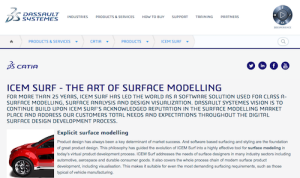 ICEM SURF is a surface modeling solution for class A-surface modeling, surface analysis, and design visualization. This industrial design software tool for explicit surface modeling is critical for the product development process necessary for great product design. A fast and innovative 3D modeling software solution, SpaceClaim is a simple and flexible design tool. 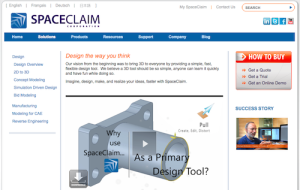 Better suited for those new to industrial design, Space Claim seeks to help users “imagine, design, make, and realize your ideas, faster with SpaceClaim.” For more advanced industrial designers, ANSYS SpaceClaim is available for creating, editing, and repairing 3D models. 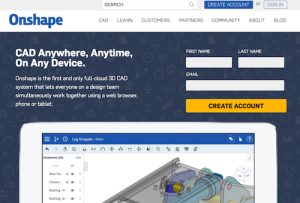 A full-cloud 3D CAD system, Onshape is an industrial design software tool that enables everyone on the design team to collaborate using any web browser, phone, or tablet. This means industrial designers may use CAD anywhere, any time, and on any device, plus access the powerful 3D modeling capabilities Onshape has to offer. 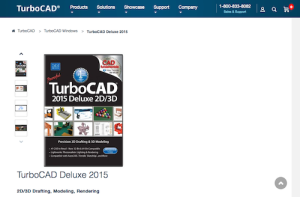 TurboCAD Deluxe is a powerful, complete 2D/3D CAD software for industrial design. Draw, modify, and annotate, plus share your work with AutoCAD or SketchUP, with TurboCAD Deluxe. 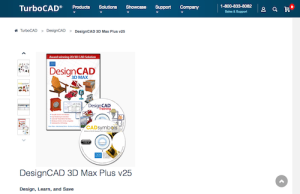 DesignCAD 3D Max Plus v25 is a bundle combining 2D/3D design software with video training and more than 30 million CAD symbols. Industrial designers of nearly any ability level will boost their knowledge and productivity with DesignCAD 3D Max Plus v25, plus enjoy the versatile design capabilities delivered by DesignCAD 3D Max. BricsCAD offers common CAD features yet adds time-saving tools and 3D direct modeling at an affordable price. This industrial design software tool features a familiar 2D and 3D interface with 2D drafting and 3D modeling while supporting solutions for industry-specific tasks. 3D Slash is a great industrial design software tool for beginners. 3D Slash makes 3D modeling fun and easy, especially because it does not require complex vocabulary or training. A real-time 3D modeling and animation tool, 3DCrafter is an industrial design tool that incorporates a drag-and-drop approach to 3D modeling. The simple processes involved with this design tool make it intuitive enough to serve as a tool for beginners in the industrial design field. Construct complex models from simple 3D primitives or use 3DCrafter’s Shape Building Tools. 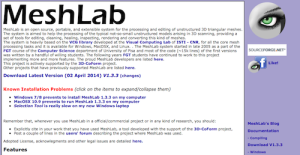 MeshLab is an open source, portable, and extensible system for processing and editing unstructured 3D triangular meshes. This industrial design software tool is “aimed to help the processing of the typical not-so-small unstructured models arising in 3D scanning, providing a set of tools for editing, cleaning, healing, inspecting, rendering, and converting this kind of meshes.” MeshLab was developed with the support of the 3D-CoForm Project. 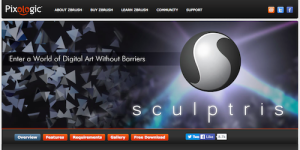 Sculptris serves as a wonderful introduction to digital sculpting. A useful tool for industrial designers who are working on the aesthetics of their designs, Sculptris is designed for novices. With easy-to-learn features, this industrial design software tool is perfect for those industrial designers who are looking to improve their digital art skills and enhance their presentations.